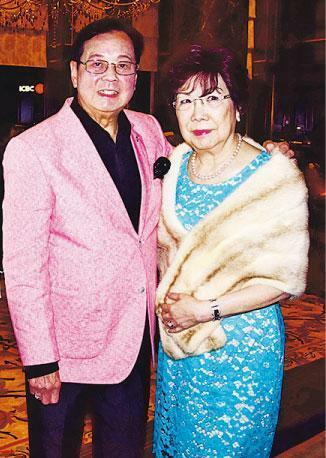 Wong Cho Nam listens to his wife Leanne Li and drinks before going to bed. He ends up all bloated. 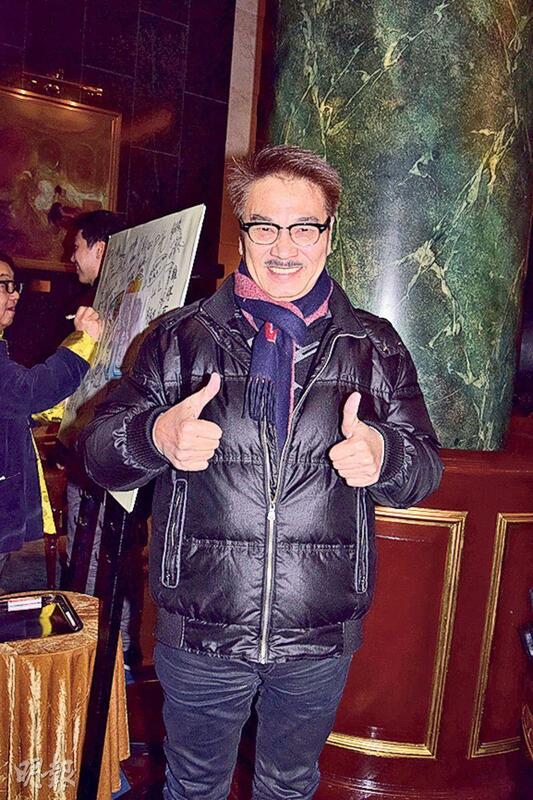 Former Cantonese film actor To Ping has settled in Australia in recent years. 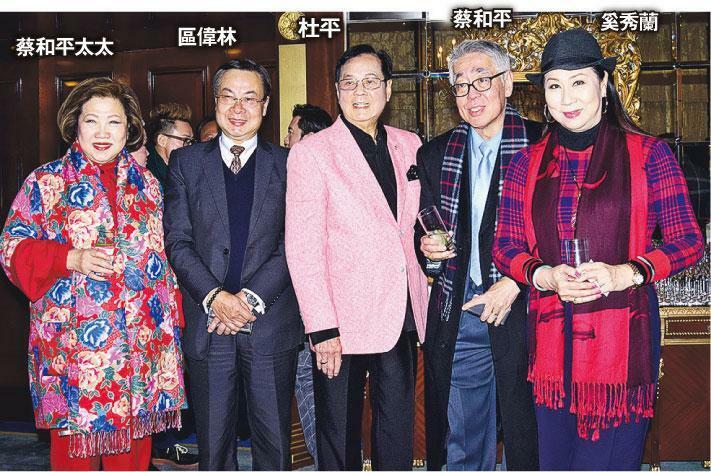 Celebrating his 80th birthday today, he held a birthday banquet two nights ago at the Hong Kong Shangri-La Hotel. He invited god son Deric Wan Siu Lun, Ng Man Tat, Wan Kwong, Choi Wo Ping and his wife and former ENJOY YOURSELF TONIGHT cast members Sam Sam, Ban Ban, Lee Tim Sing, Lo Hoi Pang, Yu Mo Lin and Ng Lai Chu. To Ping said that his birthday wish was for friends to have good health and happiness. Unfortunately due to the venue he was unable to invite all of his friends. He said, "I live in Melbourne, this time I deliberately return to Hong Kong for the birthday banquet. I will stay for around two to three weeks, then I will return to Australia for the Lunar New Year." God son Wan Siu Lun said that he has already prepared a birthday gift for his god father. Speaking of his wife giving birth to their daughter last year, he admitted that after becoming his father his life also changed. Lately his daughter has begun to learn to turn. Will he have another child? He said, "I hope to have two more, but it will depend on my wife. Maybe when my daughter is a little older." Ng Man Tat earlier was in recovery for a long time. Although he looked much thinner, he was still in good spirit. Brother Tat said that he has already quit smoking and drinking for his health, but he would not quit playing mahjong. At most he would bet smaller. Earlier Brother Tat was reported to have reduced production due to his illness, so he had to sell a property. He denied and said, "Earlier I have bought a lot of properties with other people. They weren't for living in. Since the price was good we sold it. Luckily my partners know what they are doing because I don't excel in investment." He stressed that he had no financial problems at all currently. Stephen Chow Sing Chi's new film MERMAID (MEI YUN YU) will open soon. He said that he invited him to perform in August, but he turned it down due to his health. He hoped that next time he will be able to work together. He said, "In the past two years I have been in recovery, I hope to return to make more movies soon."